AS MANY NOTTINGHAM MUSICIANS AS POSSIBLE MAKING A LIVING FROM MUSIC. Fundamentally this is what Nusic has always been about, trying to help as many musicians as possible START on the path to making a living doing what they love. We can’t get ya a main stage slot at Glastonbury, but we can help create the belief in yourself that that dream is achieveable. THE CONTINUED GROWTH OF THE NOTTINGHAM ‘MUSIC INDUSTRY’. From labels to sound engineers, from venues to artist management, we aspire to see all aspects of the Nottingham music industry flourish. JAKE and DOG IS DEAD have shown how much can be achieved from right here in Nottingham. NOTTINGHAM RECOGNISED NATIONALLY AS BEING HOME TO A BUZZING MUSIC SCENE. Masses of media coverage talking positively about Nottingham, setting off countless ripples of encouragement amongst both current and next generation musicians. We’re already close, we all feel it but does the rest of the UK? They possibly see JAKE as a one-off. Nottingham’s success over the last year means that how Nusic (and indeed all of us) can make a difference has changed. There is less to lobby for when the Council is draping it’s HQ in New-Music-Ness, the tourist board is shouting about Notts on the London Underground and your biggest promoter is committed to creating as many opportunities as possible for local artists. 1) At a ‘street level’ we will continue our broad strategy of making a ‘small impactful difference’ (SID) to as many musicians as possible. ‘Musical Communism’, as we call it , has proved pretty effective. We can proudly point to making our SID (shame it sounds like an STD) to the majority of Nottingham’s success stories from JAKE and DOG IS DEAD to the latest wave such as INDIANA, HARLEIGHBLU and ADY SULEIMAN. Helping as many musicians as possible get started out increases the chances of finding those with the talent (and drive) to make it. 2) We plan to ramp up the educational and inspirational parts of what we do, primarily for musicians, but also for those dreaming of working elsewhere in the music industry . We really hope we can get the School Tours back up and running (they’ve struggled since the Trent FM days), make our Nusic Academy Workshops more regular (the last one had 150 people turn up) plus build our database of inspiring interviews with successful creative industries professionals; whether they are from Glasgow or London we want to enable Nottingham musicians to tap into their wisdom (check out the most recent HERE). We’re also going to start regular Nusic Surgeries where musicians can pop by and seek one-on-one advice on specific issues they are facing be they media, legal or financial. This all takes a lot of time and resource so we’re grateful to Craig at Confetti, George at DHP, Jared at Leftlion and of course YOU for all your continued support. We’d also like to welcome two new supporters who are going to enable us to spend more time on Nusic and also to create an amazing opportunity in the form of the Nusic Apprenticeship. Which will allow us to support musicians more AND create a great opportunity for a young Notts music industry dreamer. Thank you to Tom at New College Nottingham and Nigel at Nottingham City Council for making this stepping up possible. We launched the Nusic Apprenticeship a fortnight ago to the biggest turnout ever at an NCN Apprentice event. If you’ve applied yourself keep an eye on your email inbox! 3) Building on our now world famous (ish) Spread The Love campaigns is a big goal for 2013. We have some big ideas lined up. For more on our Spread The Love philosophy read HERE. We will be launching our first Spread The Love comp of 2013 on Monday’s podcast. You could secure your place in The Future Sound of Nottingham 2013 simply by being a karmic member of the Notts music community. 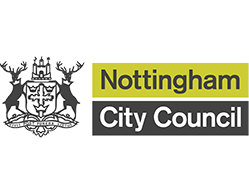 In fact the council tell us that in October well over £100,000 worth of positive PR was generated for Nottingham off the success of JAKE , DOG IS DEAD and NATALIE DUNCAN. Incredibly this figure only includes commercial media, add in the BBC and you’re probably looking at over a quarter of million pounds. Supporting individual success to catalyse societal positivity works. 5) More direct support for musicians. At risk of contradicting ourselves here there is still a bit of room for lobbying. We’ll continue to encourage public bodies and big companies to spend resources in this area, one idea is to offer scholarships that help ‘on the brink’ musicians secure the vital PR to tip them over, both helping them and creating more positivity about Nottingham. JAKE has proven our theory that a successful musician can catalyse huge amounts of positive PR for a city, with all the wondrous benefits that brings. Ranging from boosting the internal self esteem of young local musicians through to boosting the appeal of our universities, attracting talented musicians from all over to come and study in Notts. 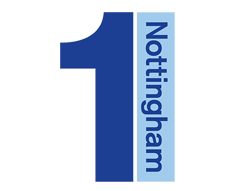 If you know a Nottingham company that would like to sponsor a Nusic Scholarship please let us know. An exciting year lies ahead Comrade, thanks for letting us pop along for the ride. If we can help you please do get it touch (all the ways we can help are laid out in our FAQ Page at the top) and if you think you can help the cause please do get in touch too. Twenty Thirteen – it’s your year.